Stock markets have risen on a week rebounding from their short-term support levels. 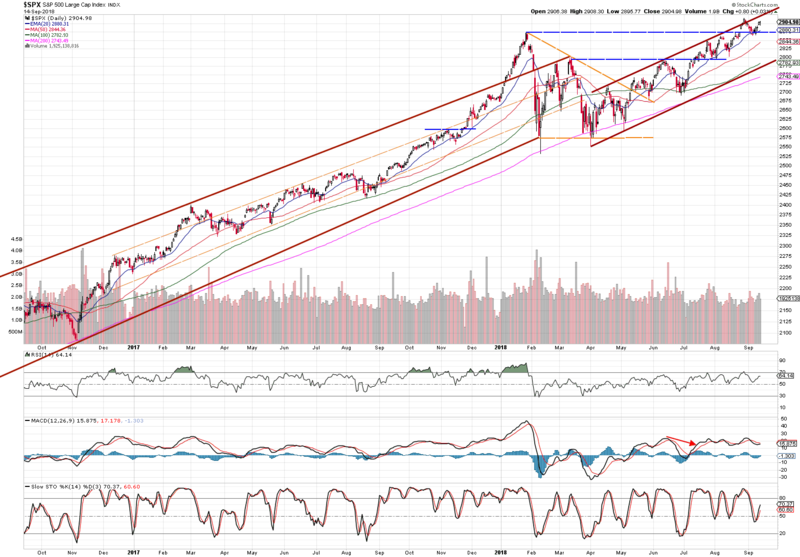 The individual US Indexes are nicely following a projected trend within our market review analyses. Financial markets are remembering the infamous collapse of Lehman Brothers that happened 10 years ago – 01:45 am, Monday, September 15, 2008. The bankruptcy has triggered the biggest financial meltdown in the US and later in the rest of the world since the Great Depression. Once the markets recovered, the US stock indices have doubled over the time. The stocks have been enjoying the quite long bull market in terms of years and while looking at the important macroeconomic indicators, they are not planning an opposite direction at all! Last week’s labor report showed a strong job growth, historically super low unemployment and inflation up 2.2 % over a year. These under control figures enable FED to raise the interest rates this month, which is highly expected by the market. Note, even a hike in the short-term interest rates is still no threat to the stock markets – they are generally low and we will need them to increase much more to be attractive enough for the investors. 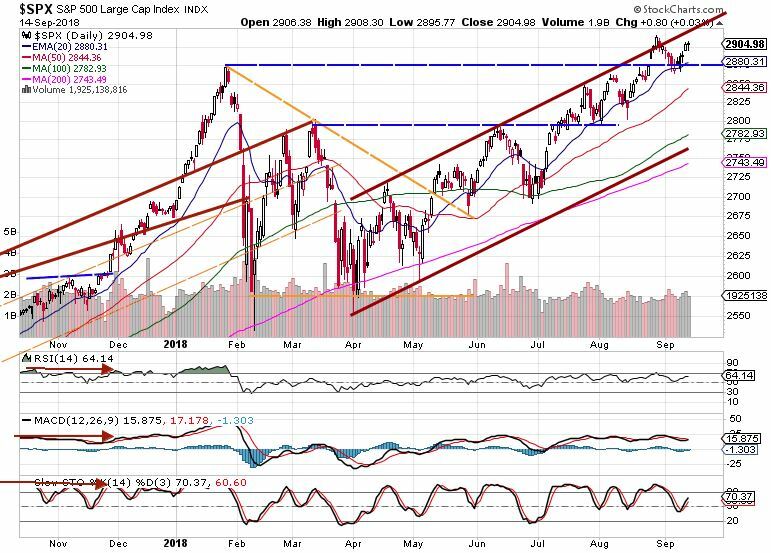 The index has settled at its support of 20 EMA and more importantly, it has managed to hold at the other support – top blue dashed line – that is becoming a long-term support level now. S&P is very likely to continue its trendy walk between 20 EMA and the outer trend line (top wide brownish line). It has actually managed to break the resistance level for one day. It may happen again soon. 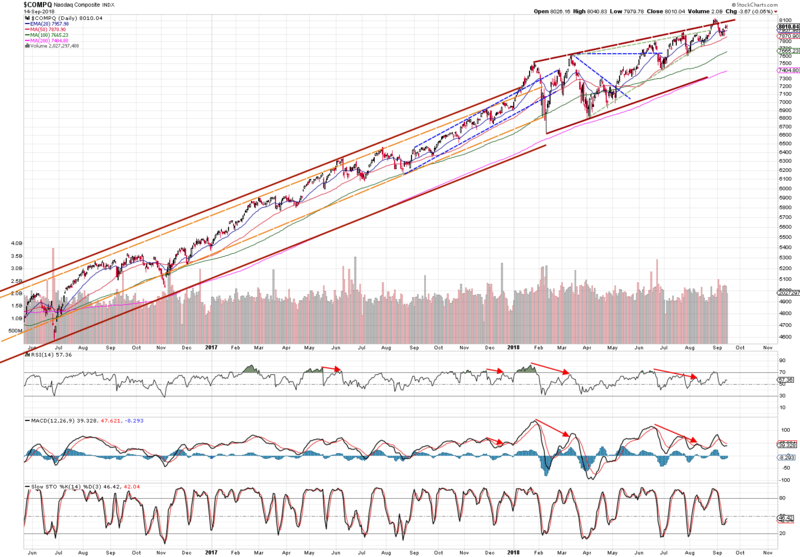 Nasdaq became to be perhaps more volatile although still a top performing index. Its support level keeps being a 50 SMA and resistance the outer trend line. Another upswing is likely in short-term. 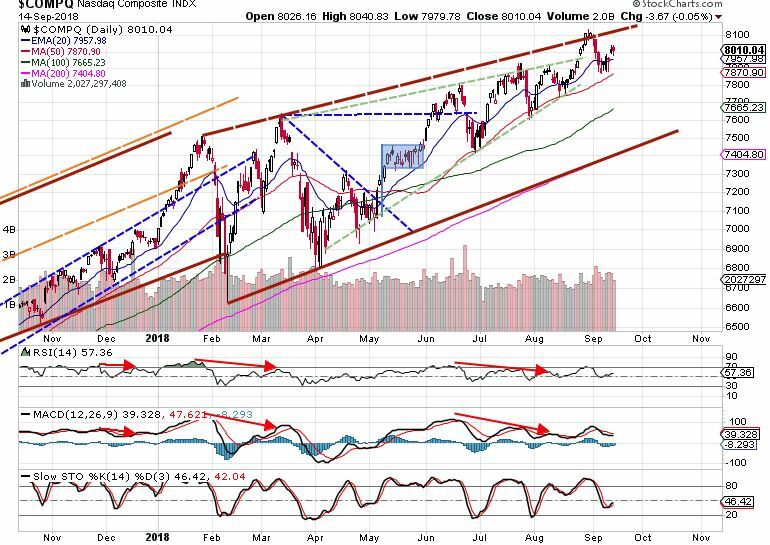 S&P and Dow are very much alike in their trend path. 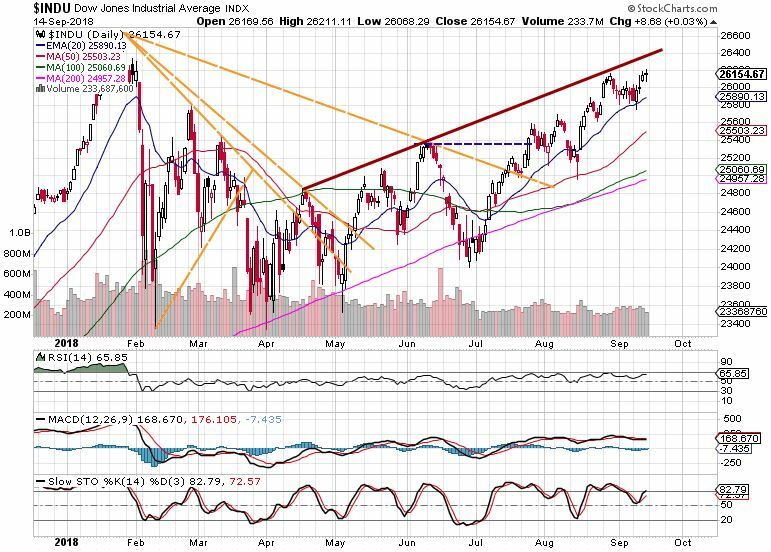 Dow Jones has jumped the 20 EMA and now is heading upwards! FTSE 100 broke down very important support level (blue line) two weeks ago. It seems to be consolidating now, however, the pollical uncertainties around BREXIT are gathers doubts around the UK’s market. Other Brexit talks are ahead this week, thus, another movement to any direction will probably happen. 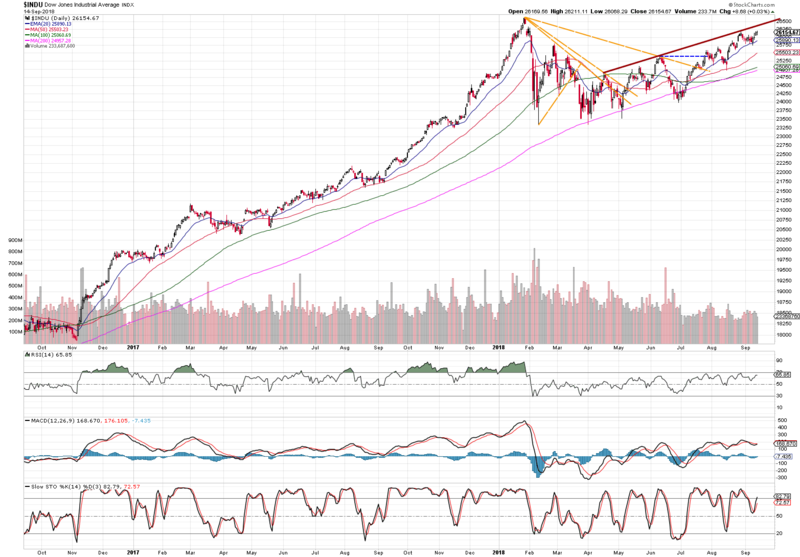 The orange support must be watched closely as this is the important level now. Trade Via Trend Team believes that market is still in level 2 of the stock market cycle. Fact is that bear market will come in a few years, however, until that time, the right selection of stocks will produce surely decent profits. Some sectors are likely to grow exponentially!